Rouko Pool Interiors is a professional pool finishing company with a team of fully trained and highly skilled craftsmen. We prided ourselves on setting and maintaining a high standard of workmanship and onsite ethics to achieve a finish of the highest quality. 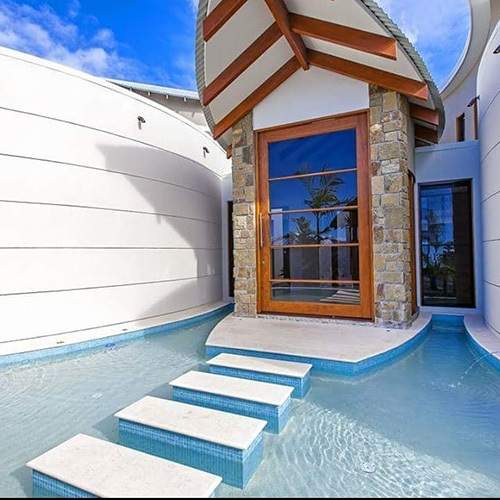 Rouko Pool Interiors have the facilities to provide services for commercial pools anywhere in Queensland and is able to liase with specialist and major pool builders in other states by negotiation. Rouko Pool Interiors uses only the highest quality material available and has access to high end pool finishes. We offer our exclusive range of Glass Bead and Pebble Crete interior finishes to suit your taste and budget. We can also create impressive custom finishes in striking colours to give your pool the WOW factor! We offer a obligation free quote where we can discuss interior colours and finishes with you. We require only a 4 - 5 day (weather permitting) turn around for renovations so you could be enjoying your sparkling new look pool within the week!